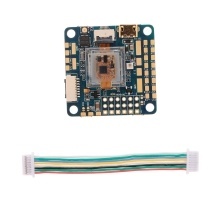 The OMNINXT F7 Flight Controller w/ 32khz Gyro OSD BEC is perfectly tailored for RC enthusiast. Do you have a thirsty to improve your skills? Are you eager to win the world intelligent UAV race? How can you achieve the goal? Good news! Now there is just one step away from success. Come and enjoy it.